Heavy rain will be short-lived but strong winds are expected. After a frosty and sunny start on Friday, clouds will steadily increase ahead of heavy rain and mountain snow Friday night. Temperatures during the day held in the 40s to near 50 as that happened, with a stiff wind off of the water. We stayed dry until the evening commute in most cities and towns, with the first rounds of rain arriving around that time in western New England. The rain continued to spread eastward, becoming heavy after dinner. 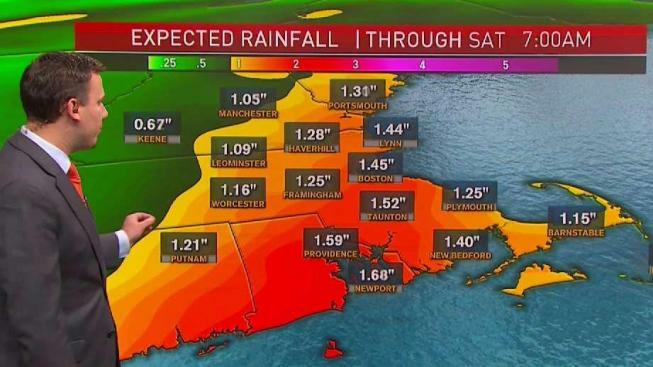 Torrential rain for a few hours, from about 9 p.m. to 3 a.m., will put down a quick 0.50-1.50” and will result in some areas of street flooding. We’ll also have a few wind gusts 40-50 MPH for parts of the Cape and Islands during that time. Meanwhile, in the mountains of northern New England, this will fall as snow before mixing with, and changing to rain. The storm is a quick mover, so we’ll wake up and already be drying out in Southern New England. Showers will linger into the morning in Northern New England. Then, very much like last Saturday, a gusty west wind will help clear us out and drop temperatures from close to 50 in the morning, down into the 30s and 40s by afternoon. In the mountains upslope snow will fire up. 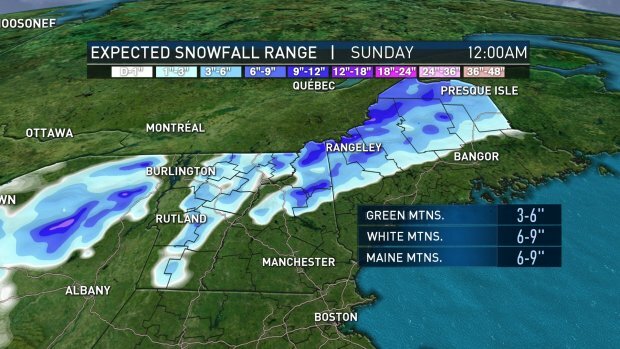 When it’s all said and done, many of the Greens will see 3-6” between the first wave of snow and the second round of upslope snow, with 6-9” in the mountains of New Hampshire and Maine. Remember, this is just an average. There will be some variation based on elevation. Either way we’re sunny and cooler on Veterans Day, with highs in the 40s. Expect similar conditions Monday. Rain, and a brief warm up, return Tuesday. That then drags in a shot of cold air for the middle and end of next week.